About Sharon – SHARON A. BRAY, Ed.D. When life hurts, writing can help. Sharon … is an astonishing writer, facilitator, and innovator in the field of TLA (Transformative Language Arts). Her excellent books on writing through illness are superb and used by many of my students as well as myself in facilitating workshops for people living with cancer and other serious illness. Sharon is a true visionary, a marvelously moving and insightful writer, and a mentor-facilitator. Sharon is an extraordinary teacher whose gift is to create a setting where anyone, regardless of writing experience or talent, can feel comfortable in allowing his or her personal emotions to find expression in words. This is an unusual gift. Sharon … encourages writers to develop their personal voices… By encouraging them to write from their heartfelt experiences, Sharon helps these professionals to become better at what they do–deal with people in their day to day professional roles–because they are themselves more comfortable with feeling and expressing emotions. Dr. Sharon Bray is best known for her innovative work with transformative writing, or writing as a way of healing, particularly for whose voices have been silenced by serious illness, pain, loss or trauma. Since her experience with early stage cancer and subsequent heart failure several years ago, she has specialized in leading therapeutic writing groups for cancer patients, survivors and many others. Two of her books, When Words Heal: Writing Through Cancer (North Atlantic/Frog Books, 2006) and A Healing Journey: Writing Together through Breast Cancer (Amherst Writers & Artists Press, 2004) document the healing power of writing. She wrote and published her first book, a children’s book, as s a young mother in Nova Scotia. In 2007, together with Pat Fobair, LCSW, she co-edited an anthology of cancer patients’ writing, Learning to Live Again, published by the Stanford School of Medicine. Her essays and articles have appeared in Moxie Magazine, Looking Back: Stories of our Mothers and Fathers, The Santa Clara Weekly, Survivors’ Review, The Art of Grandparenting, Coping with Cancer Magazine, Goddard’s Semester Magazine, The Listener & the Storyteller, The Transformative Language Arts Reader, Healing Journeys, The Wondrous Child, and the Cancer Knowledge Network. A former Senior Partner of Amherst Writers & Artists, she was featured on the DVD, Writing Alone and With Others, together with Pat Schneider, AWA founder. 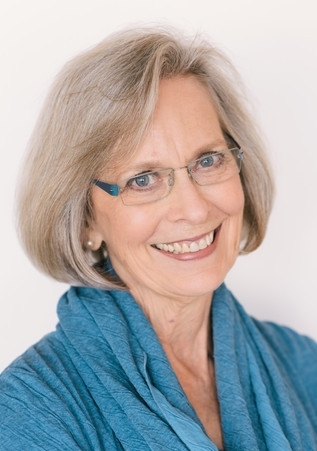 Sharon has designed and led expresssive writing workshops for seventeen years, creating and leading the first “Writing Through Cancer” series at Bay Area Cancer Connections (formerly Community Breast Health Project) in Palo Alto from 2001 – 2006 and at Stanford Cancer Center from 2004 – 2013. After relocating to San Diego in Sharon initiated and began leading expressive writing programs at Scripps Green and UCSD Moores Cancer Centers from 2006 – 2017. Since returning to Canada in 2017, she has continued leading writing workshops for those living with cancer at Gilda’s Club of Greater Toronto. She has enjoyed a unique collaboration with South Carolina artist, Heidi Darr-Hope, co-facilitating a number of expressive arts workshops or projects featuring the interplay between word and image. For three consecutive years, Sharon was also a faculty member for the national CURE Today Forums for cancer patients and a frequent speaker at health conferences and cancer centers, including the Society for Arts in Healthcare (2005) and the 2013 “Living Well with Cancer” program at the Omega Institute, Rhinebeck NY. In addition to workshops for cancer survivors, Sharon previously taught memoir and creative writing classes for the Palo Alto Adult School and DeAnza Community College in Cupertino, California, and in San Diego, designed and led a number of writing workshops over a four year period for Jewish Family Services, San Diego. In 2005, Sharon was invited to lead “The Writers’ Workshop at Stanford Medical School,” which she did until her move to Toronto in 2017. She taught “Writing as a Healing Ministry” for clergy and helping professionals, at Pacific School of Religion, Berkeley, from 2002 – 2015, and from 2007 – 2017, Since 2007, was a faculty member for UCLA extension Writers’ Program, teaching online courses in transformative writing and creative nonfiction. She currently authors a bi-monthly column on writing and healing for the Cancer Knowledge Network (www.cancerckn.com) and a weekly blog at www.writingthroughcancer.com or www.whenwordsheal.org, intended for anyone wanting to write out of the experience of cancer, other debilitating illnesses, difficult life events, pain or suffering. Her posts are also shared as part of MyKomenNYC Resource Center. Sharon studied creative and transformative writing through the University of Washington, Humber School for Writers and Goddard College. She also earned a doctoral degree in educational psychology from the University of Toronto. She now makes her home in Toronto, Canada.